Kahala Real Estate is one of my strengths. My company and I are dedicated to providing you with sound advice and adding value to your experience of buying or selling Kahala properties in the Diamond Head area of Oahu. I strive to make buying or selling a Kahala home an easy and enjoyable process. This website lets you search all available Kahala homes, land for sale, and condos in Diamond Head. 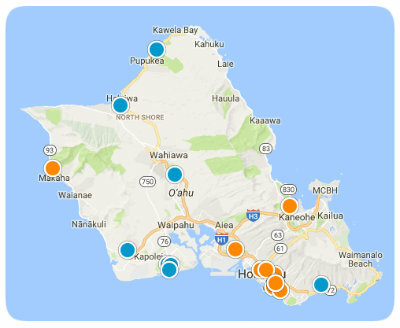 You will always find the most up to date listings on this website, as it constantly syncs up its data with the Oahu MLS. Additionally, you can set up searches so that you will receive daily email alerts of new listings as they hit the market. Please do not hesitate to call me with any questions that arise - I am happy to assist and have a wide breadth of knowledge to share. Listing courtesy of Artie Wilson & Associates. Listing courtesy of Kaina Hale Hawaii Realty Inc.. Listing courtesy of Island Spaces LLC. Listing courtesy of ILC & Swell Realty LLC.